This is a great team tackling drill, and once you do this football drill a couple times, the players really understand how to play together as a unit. The Cup-It Drill also best simulates an open field, live game tackle situation. In this drill, we use three defensive players and one ball carrier. Where is my help? This is one of the most important – and difficult – concepts to teach young men playing defense. This means “if I miss this tackle, where does the ball carrier need to go?” As a coach, you need to spend a lot of time teaching your players to take a shot opposite of where your teammates are coming from. The Cup-It Drill gives you the opportunity to coach this important concept. 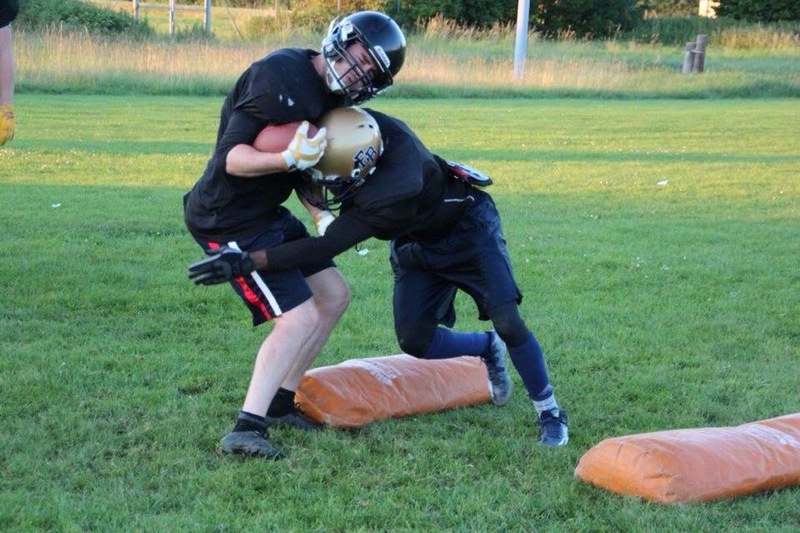 Take a shot – near man – If you are the near man in this drill, meaning the drill is coming to your side, we need to be sure to teach that player to take a shot – make the big hit tackle. Take the opportunity to make the bone hit and get on the highlight reel. That’s why we play football – that’s why we play defense. You know you have help on the inside, so don’t be afraid to take a shot. Hip pocket – inside man – If you are the inside man on the drill, you want to maintain inside hip pocket relationships . Cleanup – far man – If you are the far man in the drill, you’re the cleanup man. If your buddy doesn’t make the big hit, and the number 2 man just holds him up, it’s your job to clean it up and get the hit. Or, if your two teammates force a turnover, you should be the man to clean it up and scoop and score off the fumble.